A Site Analysis can prove to be very beneficial to a particular website, as this type of review is meant to thoroughly examine a website in order to figure out if the website is living up to its full potential. There are a number of different factors that come into play here, with each one being similar in its ability to bring a particular website to match the vision/mission/goal that was initially in place. 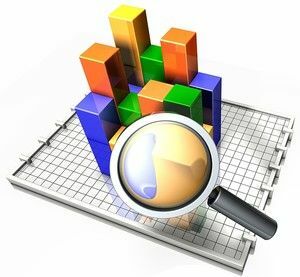 In a nutshell, a Web Site Analysis thoroughly examines a website using analytics and best practices in order to make sure that the site is performing to the very best of its abilities. What Exactly is a Site Analysis? A site analysis usually consists of hiring an expert to analyze your site, review the results, and then uses these results to create a list of suggestions for what you should and should not be doing with your site. These suggestions are meant to help you make your website the absolute best it can be. Performing a Site Analysis can tell you exactly where you need to make improvements that can lead to more traffic and accordingly more leads and/or sales. Once you receive your Site Analysis results, you are now able to place a focus on any and all problem areas that need improvement. Site reviews are normally split into sections as this allows for a more thorough, in-depth look into each section. Answers to the following questions will be answered. Is my navigation organized properly? Does my homepage seem welcoming to my visitors? Did I layout my pages correctly? 2. Search Engine Optimization (SEO) Related. Am I correctly utilizing SEO meta tags? Are my headings and subheadings fitting? Am I using the best SEO techniques available to me and my site? Are there aspects of my site that may hinder my SEO efforts? Am I using the best/right keywords? Is my copy (content) the best it can be? How long does it take my site to load? What areas can be improved to make my site load faster? Could my site be hindering results? Are my links appropriately named? Do I have enough action links? Do I have enough links from other sites? Did I provide enough products and/or services information? Does my website promote trustworthiness? Is my business or website being promoted enough on other sites? All of these questions should be answered for your website whether your business in online only or just marketing online. Issues in one of the above areas could mean less than optimal results.